Black Friday and Cyber Mondays are officially nearing within the next few days. Needless to say, both consumers and retailers would want to make out of this shopping extravaganza that comes only once in a year. Black Friday this year will officially kick off a shopping season that comprises of almost 30% sales for the year. For some industries, this could even account for 40% of the revenues. In 2017, this figure stood at $7.9 billion and these figures are just of online shopping on Thanksgiving and Black Friday. Any smart retailer would know that the holiday shopping season starts way early since the month of October. 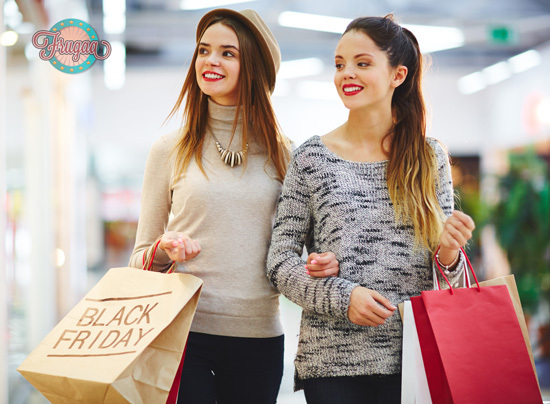 Majority of US retailers begin the use of holiday-themed incentives which promises the customers big rewards as well as discounts. These campaign starts popping on shopping websites by early October itself. You can start this by promoting your website’s newsletters which will help you drive subscriptions. An active email campaign at the start of the holidays for both your current as well as new customers signing up for your site’s newsletters. While it is raining discounts all over, your goal as a retailer is to get ahead of the curve. One way to ensure that is to sweeten the incentives for potential customers with an offer for a free gift along with their purchases. 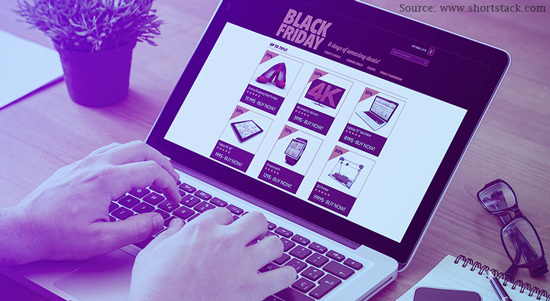 You can set up a Black Friday freebie campaign along with a Limited Entry Giveaway template for customers visiting your website. You can use this template to set a fixed number of entries that will be accepted. Even if the entry limit has reached a standstill, you can still allow customers to fill the forms and submit their information for any future promotions and deals. This allows customers to win a few freebies while doing their holiday shopping on your website. A new concept doing the rounds amongst online retailers is giving customers the options to choose their own deals. While someone may be thrilled about a ‘buy one get one offer’, another might really like a $40 off on different apparels. Pick your discount template that allows people to choose their own discounts from the different listed offers and all they need to do in return is to submit their name and email address in order to avail the code and the particular discount in question. This is an excellent template that allows retailers to not only grow their email list but also give them information about the types of deals most favored by customers. Joules is offering different offers with an average discount of up to 50%. Make sure to make the best out of it. Who says retailers can only offer a specific type of deals and discounts on their website. You can now surprise customers with a different deal every day starting from Black Friday ending till Cyber Monday. This works on the same principle as the pick your discount campaign. Retailers can create a multi give away calendar for this endeavour and instead of offering the same types of discount; you can offer people to submit their information to unlock the day’s deal. A campaign like this, allows customers to avail new deals every single day all weekend long. Whoever said no to surprises, right? Considering social media is the whole and soul of the digital age, why not use the same to promote your website and brand? Hashtags are a great way to draw customers for your website. You can include different hashtags for the same like #blackfriday #blackfriday2018 #blackfridaysale etc. This will, in turn, allows potential customers looking for great deals on to your website. A win-win situation for both parties! You can use different social media websites and run separate campaigns. This includes the likes of Facebook, Twitter, Instagram, Tumblr etc. Black Friday isn’t the time for only shopping but also traveling. Make use of the exclusive travel coupons on Frugaa and get exciting discounts for you and your family. So, there we have some Black Friday promotion ideas that retailers can make use of this holiday season.